ISHIDA has released a low-price alternative to entry-level and used multihead weighers. The new SE-series weighers deliver unbeatable Ishida accuracy and reliability at an affordable price and are backed by complete single-source technical support. To keep packaging lines running at peak efficiency, the SE and all Ishida weighers are sold and serviced by one company, Heat and Control . Complete applications advice, repair, parts, training and technical support is available from Heat and Control’s offices throughout Australia and New Zealand. 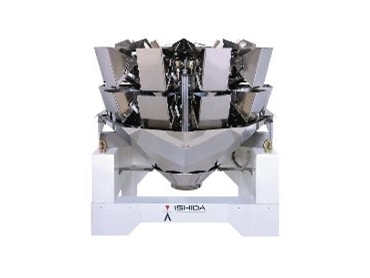 In addition to 10 and 14 scale models, the Ishida SE weigher is also available in a 20-scale twin-discharge model capable of up to 110 weighments/minute. Like all Ishida weighers, the SE is equipped with precise, trouble-free load cells designed and built by Ishida. Simple weigher set-up and operation are achieved with Ishida's unique fluorescent touch screen display remote control, which features clear and easy-to-follow interactive menus, plus 50 product presets for fast, repeatable changeovers. Designed for quick cleaning, all product contact parts are constructed of stainless steel and are easily removed by hand without using tools.